Of late, the telecom industry has become more fragmented with a myriad of competing technology services being brought to market by even more service providers. This has led to lower sales velocity, increased sales overhead and rising operational costs. Recognizing this, MasterStream, Inc., based in Corona, CA, has developed sales productivity tools and ERP solutions for the telecom industry that eliminates the time-consuming processes, complexity, and errors associated with providing telecom services. Addressing the complexities of the telecom industry, MasterStream, Inc. is equipping technology providers with MasterStream—a SaaS, cloud-based software solution that enables rapid growth in sales activities by automating the complex quote and proposal generation processes and integrating it with their native CRM or into Salesforce. MasterStream is a telecommunication ERP solution designed to increase the speed, efficiency, and effectiveness of telecom service providers as they move through the lead to cash sales cycle. 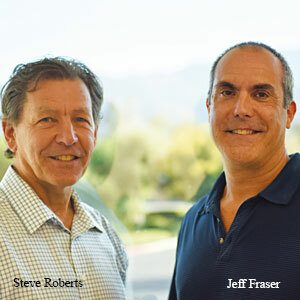 “Automating telecom is our business,” asserts Steve Roberts, CEO, MasterStream, Inc.
For instance, if Starbucks is opening new outlets at different locations they would require telecom services that connect all of their locations. Traditionally, Starbucks would reach out to different service providers or brokers, either by phone or through emails, with a request of their needs. Seeking the best available service, this process could take weeks of follow-up activity with what is often a very complicated and unfriendly customer experience. To solve these intricacies, the Masterstream software automates the quoting process allowing agents to receive price quotes from more than 100 providers online. This can reduce the time to receive a quote to seconds, providing sales people with more time to sell, eliminating unnecessary administrative work, improving the customer experience, and reducing the cost of back-end operations. While sales teams covet speed and ease of use, IT needs to address security and scalability. This often results in ERP systems requiring significant changes in their customer’s processes to work within the context of their programs, but this is not typically the case with clients of the MasterStream application. MasterStream’s suite of modules, which include CRM, qual and quote, automated order documentation, commissions, and analytics, deliver a broad set of sales productivity tools to the telecom industry. “Our unique, integrated, modular design allows customers to choose the modules that best suit their individual business needs,” explains Jeff Fraser, MasterStream, Inc.’s Chief Strategy Officer. Supporting its quoting module, MasterStream has built solutions for carriers’ wholesale and commercial divisions, resellers and managed service providers, master agencies, and independent sales agents within the telecom and IT channels. Over the past 12 years MasterStream has amassed an ecosystem of more than 70 telecom providers and 9,000 agents on its platform. The ecosystem electronically connects providers and agents to facilitate sales and marketing activities. MasterStream, Inc. currently generates approximately 15 million quotes per month across its platform. While complex quoting is what MasterStream, Inc. is best known for, the company is sailing ahead to introduce several new products and features such as integration with Salesforce through its MasterStream Quote app, a new vendor management product for agents and resellers, and Engage 1.0 that facilitates real-time communications between telecom providers, their sales agents and their customers. “In addition to expanding our product offerings, we are beginning to explore international opportunities. We are dedicated to improving the sales productivity and profitability of our partners worldwide,” concludes Roberts.